There are two things to understand. First, as we shared in the last blog, the socialist system employed in Iran was doomed to fail just as Venezuelan socialism has failed. The Trump team reversed the Obama agreement and is reapplying sanctions. The Iranian people sense they have support from America for liberty. We may be witnessing a tremendous reversal from one of America’s worst enemies. This is historic but barely covered by the mainstream media fearful of any credit going to President Trump. The truth is, however, that he has made progress first with North Korea and now with Iran. The Iranian people are smart, well-educated, and impressive. They have been under the iron fist of a backwards regime since the revolution that began 40 years ago. Now, they have an amazing opportunity to return their nation to a success path. With the right system and economic freedom, Iranians can and will succeed. Remember that we sternly warned against the Obama Iran deal. 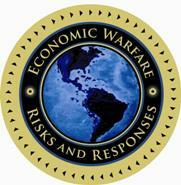 It was the wrong approach, incentivized the wrong behavior, and put the world at risk. We warned that the Obama administration was trying to give Iran access to our financial markets, which would have been tragic. The Obama team denied it but the truth has come out. They lied. Just recently, President Obama told us to not exit the deal he had arranged. He was wrong. Only time will tell if the Trump approach will flip Iran from one of our worst threats to a land of opportunity for the people there. But there is clearly reason for hope. If it works out, it will be due to sound policies by the Trump team. And, the failing Iranian government will blame our nation’s Economic War Room. The truth is that they only have themselves to blame. And now, the Iranian people have hope.